There is a saying that you learn something new every day and this certainly is the case if you use the internet. 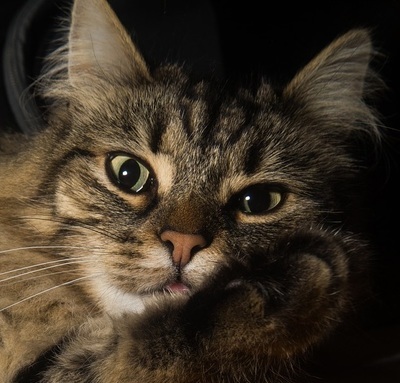 Cats are interesting animals and there is much to know about them. 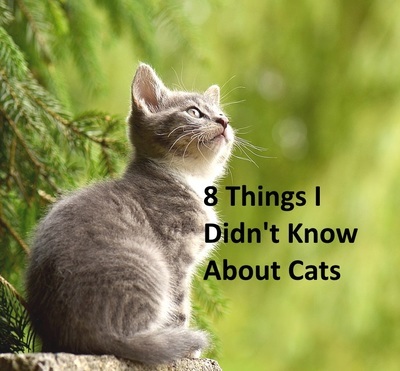 When I was reading up about cats recently I was interested to learn a few things I didn't know previously. 1. Cats have a preference for using one paw or the other just like humans are left or right handed. Female cats tend to be right-pawed. Males are usually left -pawed. And yes, just as with humans, some cats are ambidextrous. 2. Cats sweat. How? Where? Through the pads on their paws. They have sweat glands in their skin too but these don't help to cool the cat much because they are covered in fur. There is a higher concentration of sweat glands in the pads of their paws. 3. The small indentations and bumps on a cat's nose are different in each cat resulting in each one having its own unique 'nose print'. It's like an individual human has her/his own finger prints which are that bit different from anyone else. 4. Ear furnishings is the name given to the furry tufts which you see inside a cat's ears. This hair which is longer than the fur covering the rest of your cat's body helps keep dirt, insects and the like out of their ears. 6. If a cat attacks your ankles this could be a sign he/she is bored. Some people claim they do this because they are hunters by nature and are looking for an outlet for their natural instincts. Your ankles move so your cat attacks them. 7. White cats are quite often deaf, especially those with blue eyes. 65% to 85% of white cats with blue eyes are deaf. 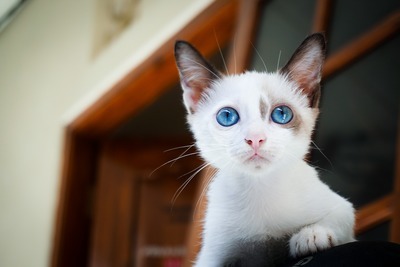 If a cat has one blue eye and one of another colour it may be deaf in the ear on the same side as the blue eye. 8. Cats are unable to detect sweetness. Research has found all other mammals that have been tested can. If you know something about cats others may not know, please write about it in the comments box.